The famous Manhattan surgeon who has treated stars like U2 singer, Bono, was found dead with a knife in his chest in his Upper East side apartment on Sunday. 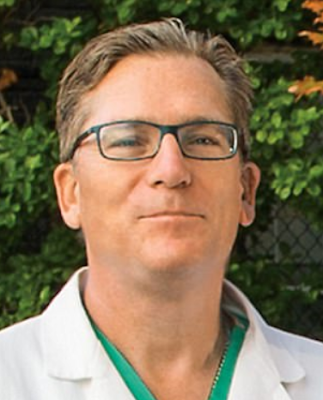 Dr. Dean Lorich was found by his 11-year-old daughter lying on his back, face up on his bathroom floor with a knife sticking out of his chest. 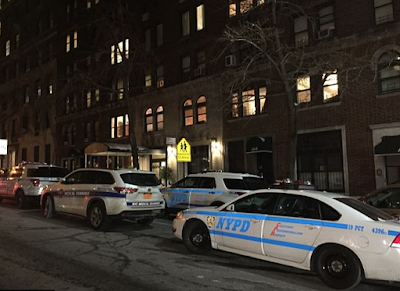 Authorities said around 1 p.m. the girl ran downstairs and told the doorman, who immediately called the police to the Park Avenue home. At the time of Lorich’s death, both his wife and other daughters were out playing tennis, according to police. He was home alone with the daughter who found him. At first, police thought the 54-year-old had killed himself since there were no signs of a forced entry, but he didn’t leave a note behind. The married father-of-three girls was the associate director of the Orthopedic Trauma Service at the Hospital for Special Surgery, as well as the Chief of the Orthopedic Trauma Service at New York-Presbyterian Hospital.